The Vikings are locked and loaded and ready to make a deep run this upcoming season. With a combination of talented young players and skilled veterans, the Vikings are poised to fight for NFC North supremacy. Division rivals, the Chicago Bears and the Green Bay Packers look ready to spoil Minnesota's plans. Grab your Minnesota Vikings tickets and be a part of your team's quest for championship glory. The 2017 NFL season was thrilling for Viking fans. The Vikings finished the regular season very impressively with a 13-3 record. They beat the New Orleans Saints in the NFC Divisional Playoffs 29-24. Then they went on to the NFC Championship game where they sadly fell to the Philadelphia Eagles 38-7. Will the 2018 season be the year the Vikings can go all the way? Bud Grant Hired as Coach – On March 10, 1967, one of the biggest turning points in the history of the Vikings was when the team’s founder Max Winter replaced Norm Van Brocklin with Bud Grant as head coach. Brocklin had struggled to keep the Vikings’ performance consistent throughout his six years with the team. Rather than going for a traditional choice for the demanding job, Winter opted for Grant. He was an esteemed coach from the CFL but nobody knew what to expect from him in the NFL. Under Grant, the Vikings dominated the league between 1969 and 1977. Leading the team to four Super Bowl appearances, Grant is regarded as the most successful coach in Vikings history and one of the greatest in the NFL. The First Game of Fran Tarkenton - The Vikings were a brand new expansion team playing against a well established Chicago Bears at the Metropolitan Stadium on September 17, 1961. Hence little competition was expected. However, the football world was pleasantly surprised when the 21-year old rookie Fran Tarkenton emerged onto the scene in spectacular fashion. He came off the bench to toss four touchdowns and led the Vikings to a historic come-from-behind win (37-13) against the Bears. The unexpected outcome had the fans cheering in the stands and set the foundation for one of the most storied franchises in the NFL. Green Bay Packers - The Vikings-Packers rivalry is a bitter one indeed. For decades this rivalry has been fueled at numerous occasions. One such instance is when after fifteen seasons with the Packers, quarterback Brett Favre returned to the Lambeau Field as a Viking on November 1, 2009. It was an emotional moment for Packer fans to see him in a different uniform. What made it worse was that his four touchdowns led the Vikings to a 38-26 victory against a team he had been an integral part of. Detroit Lions - On September 22, 1974 Lem Barney intercepted quarterback Fran Tarkenton in the end zone on the last play of the game to secure a 20-16 win for the Detroit Lions at the Tiger Stadium. This ended the Lions’ losing streak to the Vikings since Brunt took over. In his book, Charlie Sanders who played tight end for the Detroit Lions shared some stories about his time with the Lions. He told that the Lions were not allowed to have beards or long sideburns. They couldn’t even wear white shoes. The deal between the players and Rick Forzano (Lions’s coach) was that he would repeal these policies if they defeated the Vikings. And that is precisely what happened. Minnesota Vikings may not have a glorious history of championships but they’ve made four Super Bowl appearances. Cris Carter- Although his problems with alcohol and drugs deeply affected his career in the NFL while he was with Philadelphia Eagles, Cris Carter overcame his weaknesses as a Viking. He was hailed for his use of the sidelines, soft hands and crisp route running. During his 12-year stint with the Vikings, Carter hauled 1004 catches for 12,383 yards and 110 receiving touchdowns. Randy Moss - In his seven years with the Minnesota Vikings, Randy Moss had 587 catches for 9,316 yards and 92 touchdowns. In 1998, he helped the team become the number two-ranked offense by scoring 556 points (which was an NFL record at the time). As a Viking, Moss made it to the Pro Bowl a total of five times. An outdoor stadium on the campus of the University of Minnesota in Minneapolis, TCF Bank Stadium is being rented by the Vikings until the construction of their brand new stadium, US Bank Arena, is completed. To recognize that the venue is a statewide facility and to pay tribute to the support of all Minnesota citizens, the names of the state's 87 counties are cast in stone around the perimeter of the first level of the venue. The arena gives fans an opportunity to explore the great campus of the University of Minnesota and learn about its rich history. The preseason schedule is out and you can have a look at it to see which upcoming game of the Vikings you want to catch live. To ensure your presence at the event, all you need to do is book Minnesota Vikings tickets 2018 in advance. Our process for purchasing cheap Minnesota Vikings tickets is simple and fast. There are so many online ticketing sites, that it can be hard for customers to find the right place to buy Minnesota Vikings tickets at the cheapest price. At ScoreBig we think of our customers first and foremost. We offer daily deals for Minnesota Vikings events, so our customers can get the best seats for the best prices. ScoreBig will always go above and beyond to offer the cheapest Minnesota Vikings tickets on the market. The Minnesota Vikings schedule above, displays all available events for 2019 and 2020. Once you find the event that you would like to go to, click the red “Get Tickets” button. It is located on the right-hand side of the event listing, it will take you to an Minnesota Vikings event ticket page. ScoreBig's event ticket page will display all available Minnesota Vikings tickets for that event. On the event ticket page to help with your search for the right Minnesota Vikings tickets, use the filters at the top to select quantity, price range, and more. There is also an interactive seating chart so you can pick where you want to sit. When you are ready to buy a ticket, click on the listing, and you will be directed to ScoreBig's checkout page. Upon completion of the information fields, your order will be processed and your Minnesota Vikings tickets will be delivered via email, mail, or to your mobile device. What makes ScoreBig’s site stand out from the rest? We are constantly analyzing our competitors to improve our site, service, and prices. ScoreBig.com employees strive to offer the best process and experience to buy cheap Minnesota Vikings tickets. Our goal is to get you the best seats to Minnesota Vikings events. We offer daily discounts on our site and for special promotions check out our newsletter. 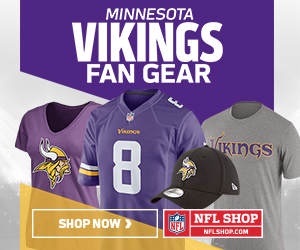 If there are no Minnesota Vikings events currently available, you can use our search feature at the top of the page to see a list of all popular events going on near you. No matter your price point, we have all the best deals and discounts on Minnesota Vikings tickets. For more information on prices of Minnesota Vikings tickets and the schedule for Minnesota Vikings, check out our listings above. The last thing you want to find out is when the Minnesota Vikings event you wanted to go to is sold-out. Don’t worry in many cases ScoreBig has affordable tickets to sold out events. We sell tickets from GA all the way to premium seating and parking. Skip the scalpers in the parking lot and get your tickets online from top Minnesota Vikings ticket brokers. We get you in all events, buy your Minnesota Vikings tickets here from a brand that many trust and rely on for all their ticketing needs. ScoreBig offers a 100% money-back guarantee. If you have been in search of cheap tickets for Minnesota Vikings, ScoreBig by far is the best option. That’s why ScoreBig has more loyal customers than any other ticketing site. Shop at ScoreBig for safe and secure Minnesota Vikings event tickets.